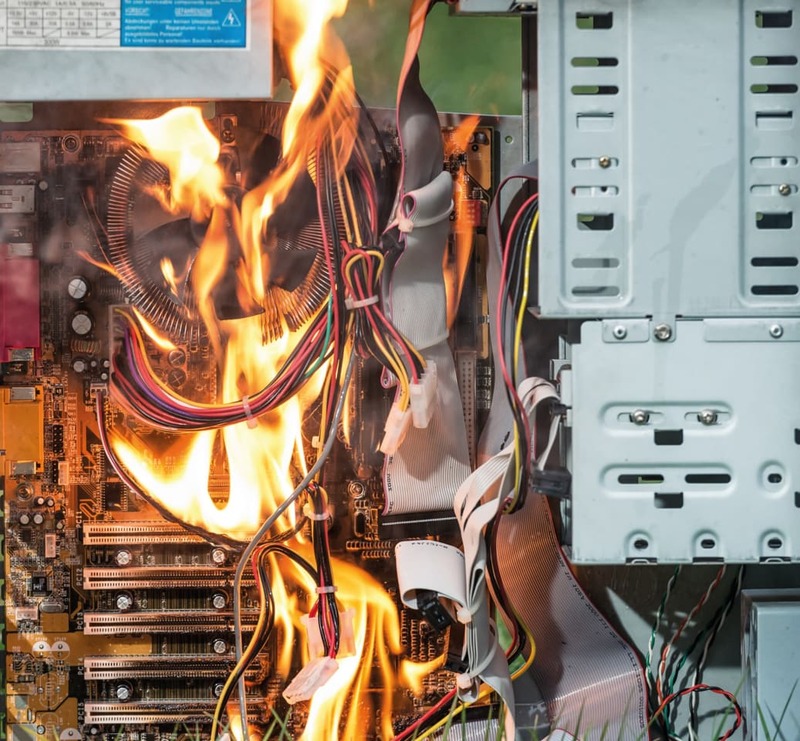 This article addresses the need for a national statistical database, and interpretation of the data, with regards to arc flash related incidents and fatalities. The database will only be as effective as the data being shared, processed, interpreted and communicated on either a bi-annual or annual basis. The goal is to have a national indicator of arc flash safety within South Africa, to support information sharing with regards to arc flash incidents and to improve any safety processes in order to cut back on arc flash incidents. 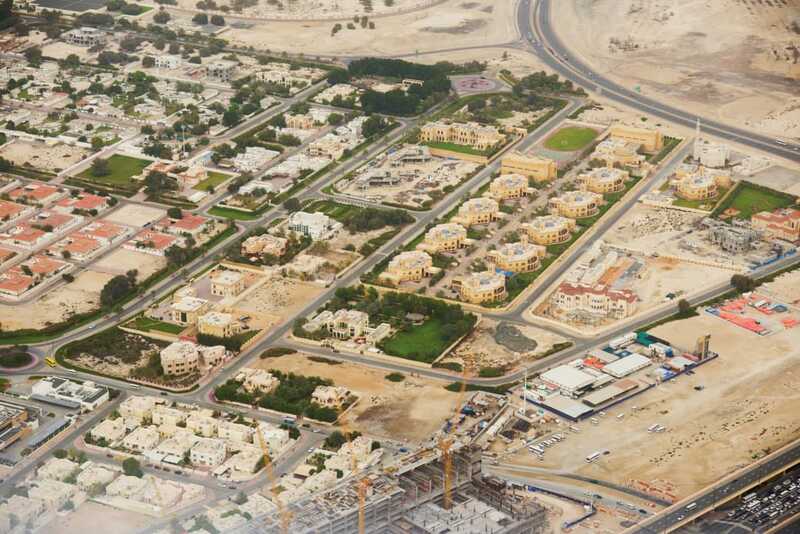 The goal is not to lay blame for the incident, but to study the cause of the incident in order to improve preventative measures and safety programmes. There is a huge economic benefit to be gained from improved safety in the workplace as well as a reduction in arc flash related incidents. This benefit can only be attained by having a true picture of the incident, what preceded it and how it can be mitigated in the future. An arc flash hazard is a dangerous condition associated with the possible release of energy caused by an electric arc. 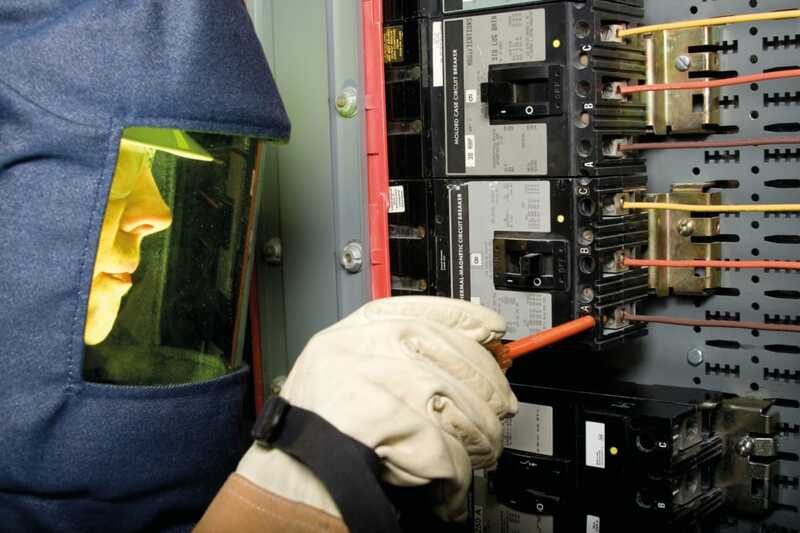 An arc flash hazard may exist when energised electrical conductors or circuit parts are exposed or when they are within equipment in a guarded or enclosed condition, provided a person is interacting with the equipment in such a manner that could cause an electric arc1. The plasma generated during an electrical arc causes severe burns and can even be fatal, if the person exposed is not adequately protected by the correct Personal Protective Clothing/ Equipment (PPC/E). The primary goal, in order to mitigate risk, is always to out design or out engineer the initial risk when it comes to electrical work. The last line of defence is the correct PPC/E selection. The SANS 724 is currently under review, which gives a proper guideline on how to select and correctly determine the correct PPC/E for any live electrical work, in order to minimise arc flash related injuries. Statistical analysis is the process of collecting and reading data so that one can describe past behaviour and characteristics and predict future ones or identify areas where behaviour can be improved2. Two main statistical methods are used in data analysis, these are descriptive statistics, and inferential statistics. Descriptive statistics summarise data from a sample using indexes such as the mean or standard deviation. Inferential statistics draw conclusions from data that are subject to random variation, such as observational errors or sampling variation. Typically a combination of both methods will be needed to accurately interpret the data gathered. Why focus on statistical analysis? The value of statistical analysis cannot be over emphasised in the corporate world when it comes to employee safety. When it comes to sports and statistics, everybody knows exactly how their favourite team performed and what the probability is for them failing (or succeeding) with the next game. Everybody that is interested knows a player’s average batting score and his current run rate. When it comes to small companies, any incident is widely known, due the severity of the incident or due to the closeproximity of inter-employee relationships. In bigger companies the information gets filtered down to monetary value and to the bottom line and loss of life. Some divisions will not even know of near misses. Fatalities only get widely discussed and analysed after the fact, in order to create awareness, improve safety and to learn from the incident. The value of the data is often overlooked before an incident. 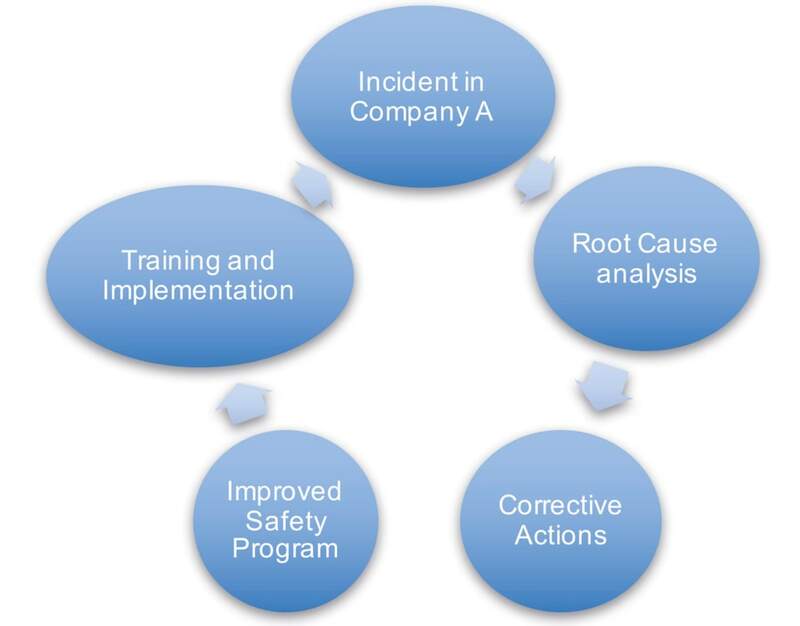 After an incident all companies gather the information and carry out a root cause analysis, but that information stays within the company. Mistakes made on widely used switchgear will never be highlighted due to the information not being shared between companies using the same switchgear. 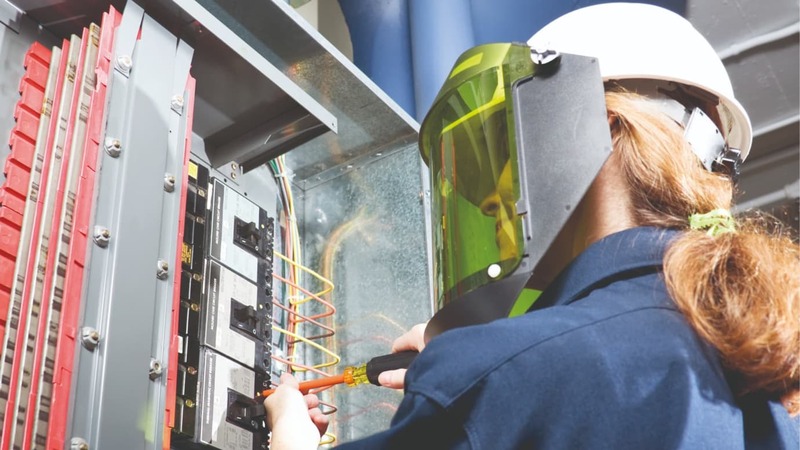 By introducing a central database (or a National database), where all arc flash related injuries can be recorded, the information can be analysed and interpreted at a central point. The main reason for this is that for every 10 recordable cases, there is one fatality in the electrical industry (according to American based research). Currently we are not aware of the national fatality rate due to either electric shock or due to arc flash incidents. If we record all national incidents, then we can start monitoring the current incident rate and we can pro-actively improve our systems and standards. We can also create a benchmark of where we are and we can detect upwards or downwards trends in incidents. With this data we can present future business investors with information with regards to employee safety on a national basis. The first suggestion is to gather all the information from the Department of Labour. Additional information can be gathered (by an independent third party) from the companies if the cases were not as severe or if they did not have a major impact. The goal is to gather as much data as possible. Typical information required is displayed in Table 1. It should be noted that the injured person’s injuries are listed as “burns due to electrical arc flash” and not just as “burns”. If the distinction is not made, then the information will be skewed. Given the above basic categories, the following information can be evaluated. When looking at the company profile, information such as the size of the company as well as the organisational structure of the company can be evaluated. The data will show if a company is considered as a relative safe place of employment. The general information will indicate whether there is a trend in seasonal incidents, and if there is a trend in incidents at a certain time or day of the week. It will also look at when most incidents occur, i.e. Monday early morning, or Saturday afternoons. This type of data can also be correlated with the production output of the company at that moment and whether it is followed by a major maintenance cycle or not. Data gathered from the switchgear will indicate whether the equipment is becoming obsolete, whether a part within the equipment is nearing the bathtub failure curve, or whether the equipment cannot be maintained effectively and safely any more. This type of data is vital when determining the start of end of life cycle management. It will also give a clear indication if the risk analysis conducted on the equipment has to be adjusted based on other companies’ feedback of equipment failure and type of failure. Basic information such as the employees’ age and years of service will impact the risk management of the equipment and the related task. Other information such as training received, competency, and frequency of updated training, will indicate whether the training programme in place works effectively. When the training is presented by a third party, then the data can be evaluated nationally and adjusted accordingly by the training company. This will also highlight gaps in the original training plan of any OEMs and all companies affected can be notified of the increased risks and necessary adjustments to be made. The information gathered from the clothing manufacturer and clothing incident energy rating will indicate whether the risk analysis conducted was correct. It will also indicate whether the network fault analysis and incident energy calculations are accurate. It provides valuable information with regards to the correlation between the interpretation of the incident energy and the recommended PPC/E. The equipment maintenance interval data indicates any system or process issues within the company. The data can highlight issues with equipment availability, production schedules and targets, maximum allowed maintenance intervals or even contract scheduling issues. The data provided from this group will indicate any issues with switchgear modifications and whether it is either implemented correctly or if the modification introduces a new unidentified risk. It may indicate gaps in the training programme, given the new modification or any customised training required. How will this information assist with arc flash safety? Once an incident has occurred, and the information is shared with the DOL and interpreted, then the companies can be notified of potential hazards and risks with any of their various safety measures in place. A third party is deemed best to look at the information; one that is not affiliated with any company and that will keep the information confidential. The data can be published annually. The value of the information can only be determined if the companies affected get feedback and implement the necessary changes required for continued employee safety. Our current system can be depicted as in Figure 1. The new system, as depicted in Figure 2, encourages the following behaviour. 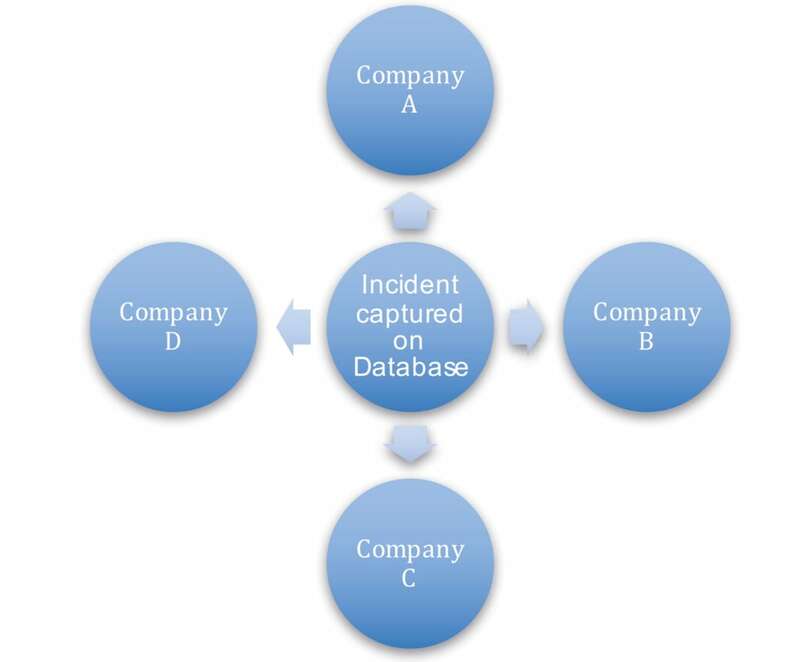 This is where there is an incident in Company A, but the information gets captured centrally. The same process is followed as in Figure 1, but the information is shared between all relevant companies in order to improve electrical arc flash safety. From this method all companies can improve their safety processes. Any information shared can be used in improving either management processes, training material, training intervals, equipment maintenance and equipment maintenance intervals. It may also improve PPC/E selection and use. Once the database is established and analysed, additional information may also be captured, such as compensation data, disability pensions and absenteeism rates. This will give a clear picture of what is happening in industry and where improvements can be made. Laura Steenkamp (MEng (Electronic)) obtained her Electronic Engineering degree at the University of Pretoria in 2001. She began her career with Eskom where she developed an interest in protection engineering. In May 2008 she joined Sasol Synfuels, focussing her attention on the systems that are put in place governing and regulating protection engineering. She learnt more about arc flashes, and the way people are affected by them, during her participation in a risk analysis of all Sasol Synfuels electrical boards. Laura published a paper in 2010 about the secondary risks to a person who is involved in an arc flash. Laura joined the e-Hazard team in July 2016 and is currently the chairman of the SABS SANS 724.